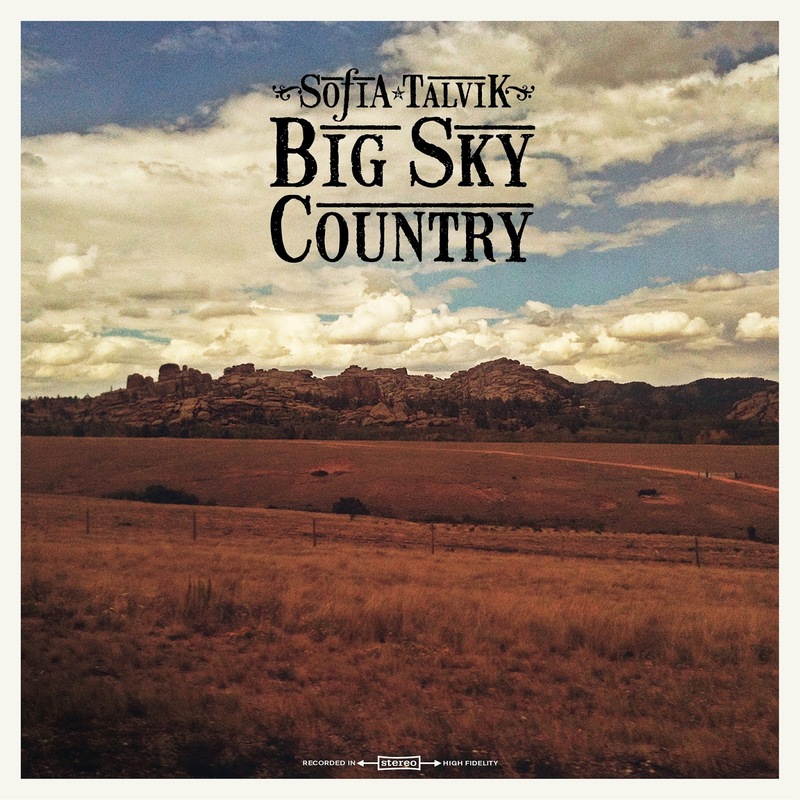 BIG SKY COUNTRY, the 6th album release by Swedish artist Sofia Talvik, unveils as a luxurious clash of the New and Old Worlds. 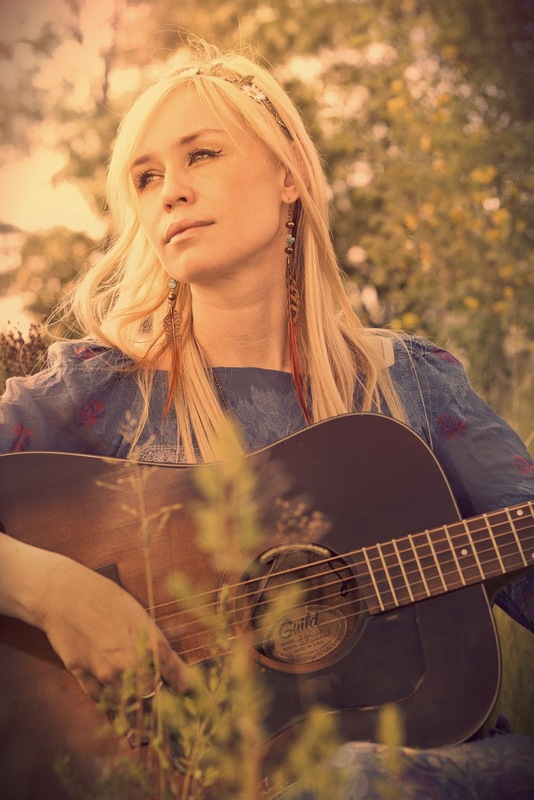 Inspired by a mega extensive US tour in 2012, Sofia has captured the very essence of the folk-Americana genre by mixing an evocative selection of mood-driven songs with a predominantly roots soundtrack. All twelve tracks are gloriously coated with her luscious vocals which are shaped purposely to sprinkle emotion into each message. These messages range from the acutely introspective to more expansive observations of the wider world and its landscape. What threads this album together is Sofia’s skill to spin a quality song from her inner thoughts, while cementing an impressive mix of gratifying melodies and darker numbers requiring greater listener exploration. With an eye for precision symmetrical planning, the decision to insert an atmospheric and spiritual cover version of Buffy Sainte Marie’s ‘Starwalker’ pays dividends in pivotal proportions as it re-energizes the record midway through. Either side of this number six position on an eleven track album, Sofia owns the song writing process and is supremely supported by the list of players assembled to help her make the record. The writing tends to veer down the slightly darker and melancholic side of life with snippets of positivity shedding some light on the proceedings. This is most evident in the closing number ‘So’ which ends with the sentiment ‘and that is why I love you so’. ‘Big Sky Country’, the album’s title track, is another moment of uplifting positivity and clearly emerges as the record’s premier song. It is a clear take on using the American landscape as a backdrop which namechecks several places before deciding that the ‘big sky country of Idaho’ is the abiding memory before going home. The stunning landscape shots on the album cover and inner sleeves back this notion up. A similar theme occurs in ‘Give Me a Home’ which comes across as an ideal piece for a movie score. As a writer, Sofia majors on the figurative and imagery styles with ‘Fairground’ and ‘Bonfire’ steering clear of literal interpretations. ‘Lullaby’ does what it says in the title by generally slowing things down and its lyrics magnificently contrast the presence of sunlight with morbid observations. ‘A Matter of the Hearts’ and ‘Jasmine, Rose and Sage’ both generally fall into the sad song camp, on a record which does delicately swing in mood. These are also integral reduced tempo moments on the record with ‘Dusty Heart, Empty Hand’ markedly representing Sofia’s ability to write a pacier number perfected to be easy on the ear. In almost complete listing reversal, the final track to comment on is the album opener ‘Aha-Aha’ which far from being inspired by a fellow Scandinavian pop group sees Sofia set the scene well with a reflective number that encourages the listener to connect with her intentions. 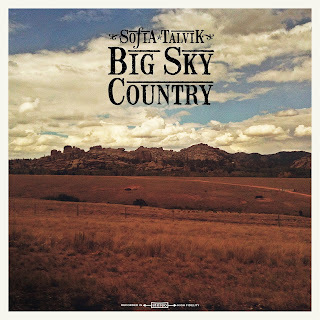 BIG SKY COUNTRY is a delightful record to engage with and contains a wide variety of contrasting selling points to lure in satisfied listeners. So whether you are moved by a wonderful vocalist, an enticing lyricist, a sound capturing a multitude of moods or probably all three, Sofia Talvik presents an album to indulge your musical preferences within the confines of its intended genre. We know that International Americana is thriving in Scandinavia through the excellent radio show TIAMS and Sofia Talvik confirms this with her latest record.